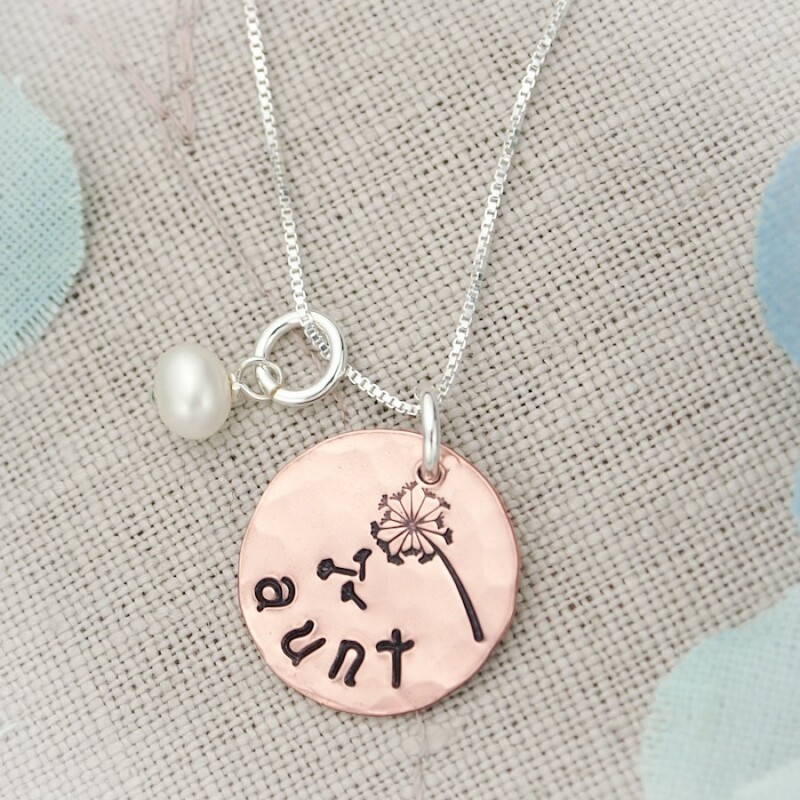 Show how much your aunt and sister mean to you with this beautiful pendant. 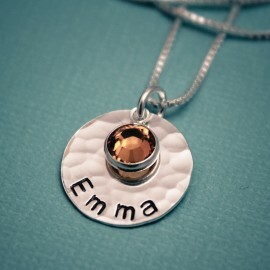 Your choice of a 3/4 inch hammered brass, copper, or silver disc is hand stamped with "aunt", "sister", or any name of your choice. 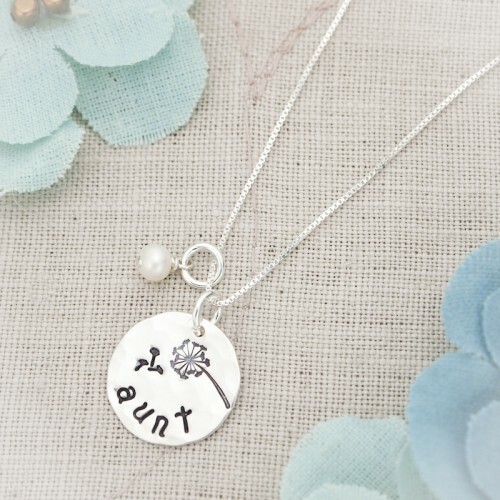 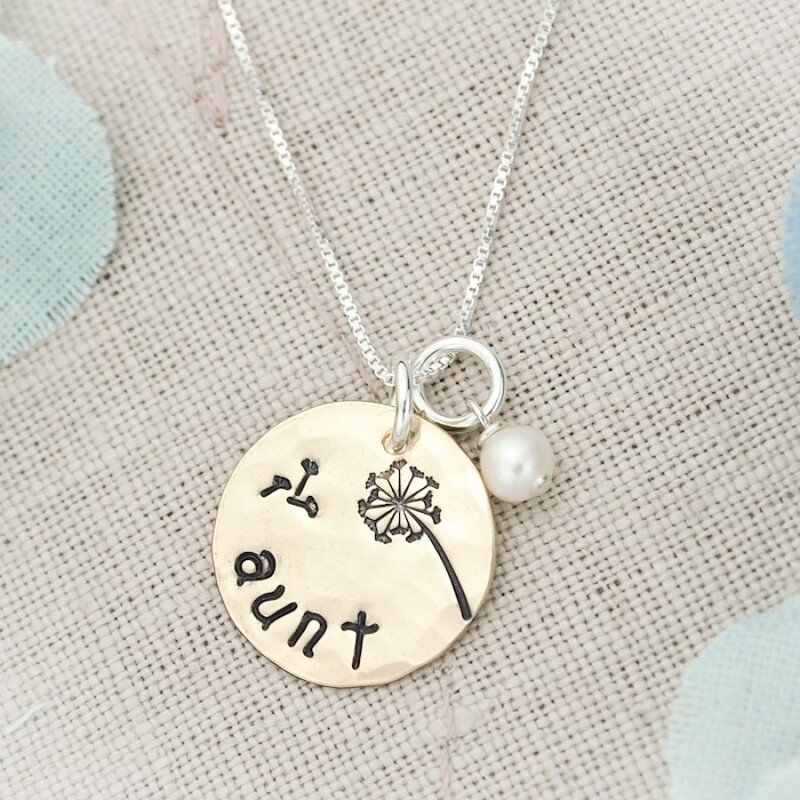 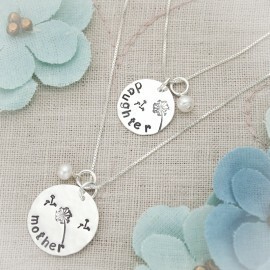 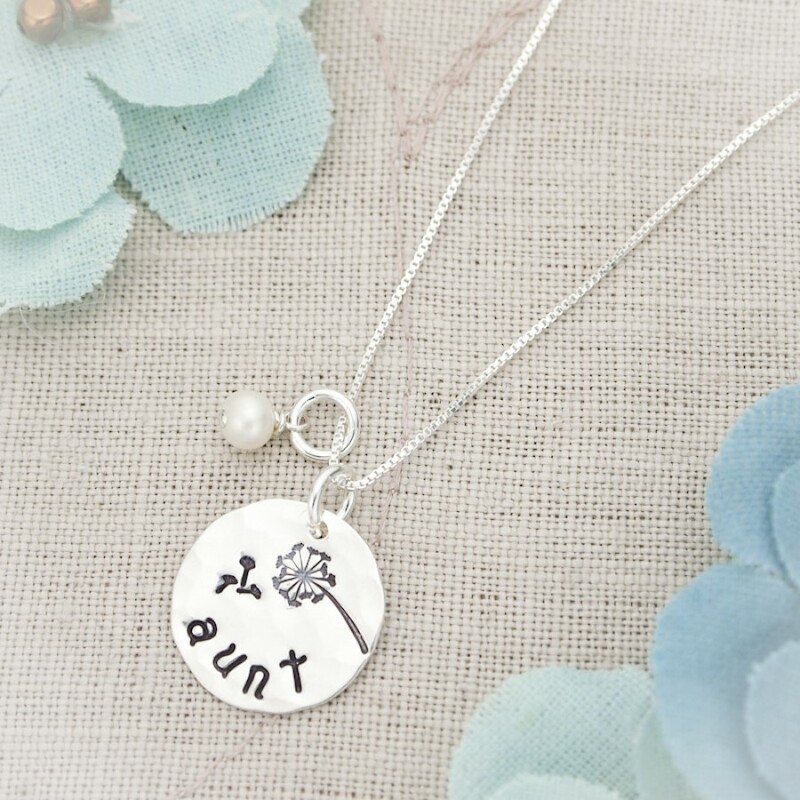 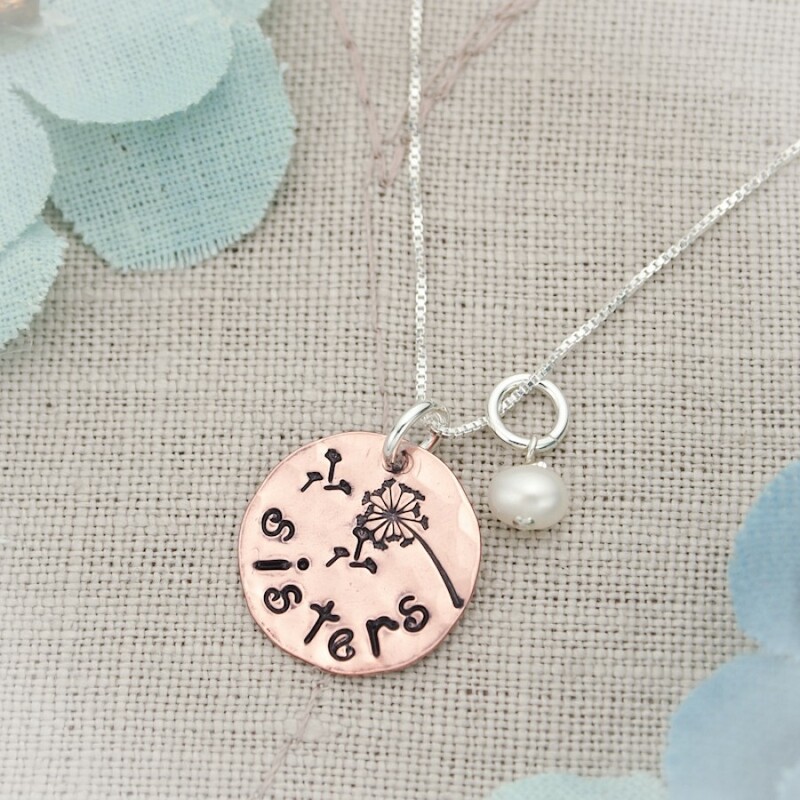 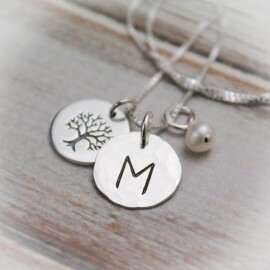 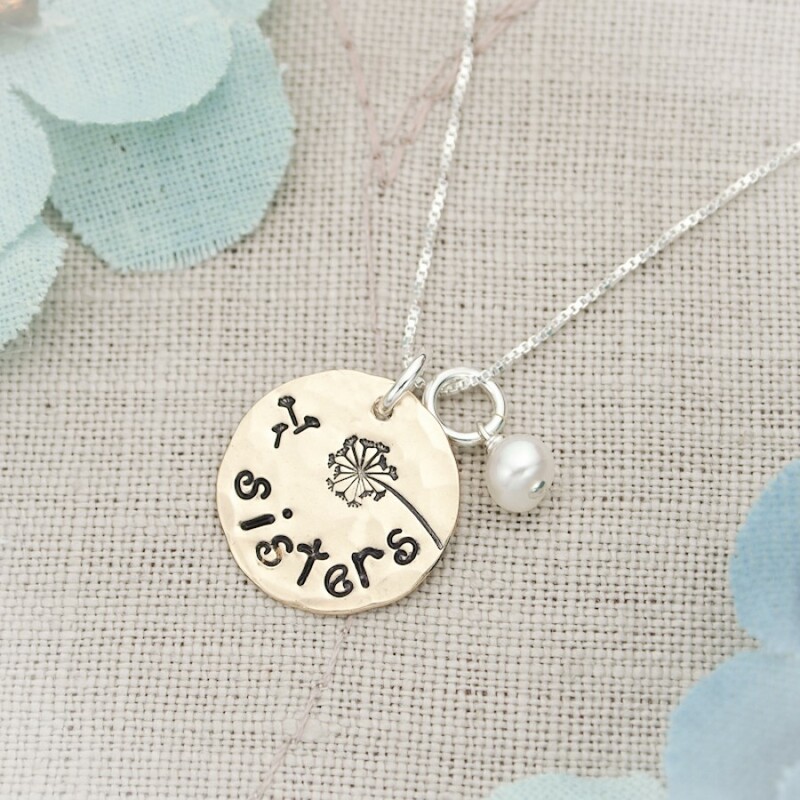 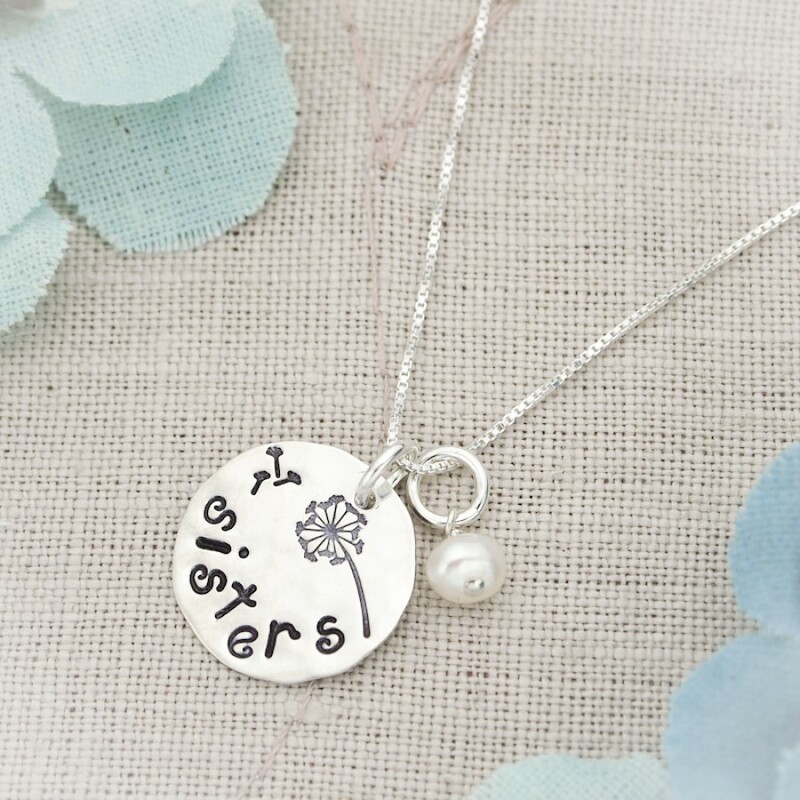 A delicate hand stamped dandelion completes the charm.Add on a white freshwater pearl charm or a birthstone charm to dangle along side the disc. 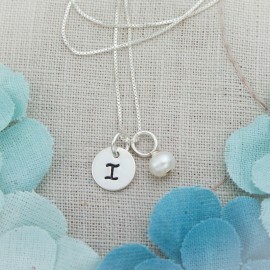 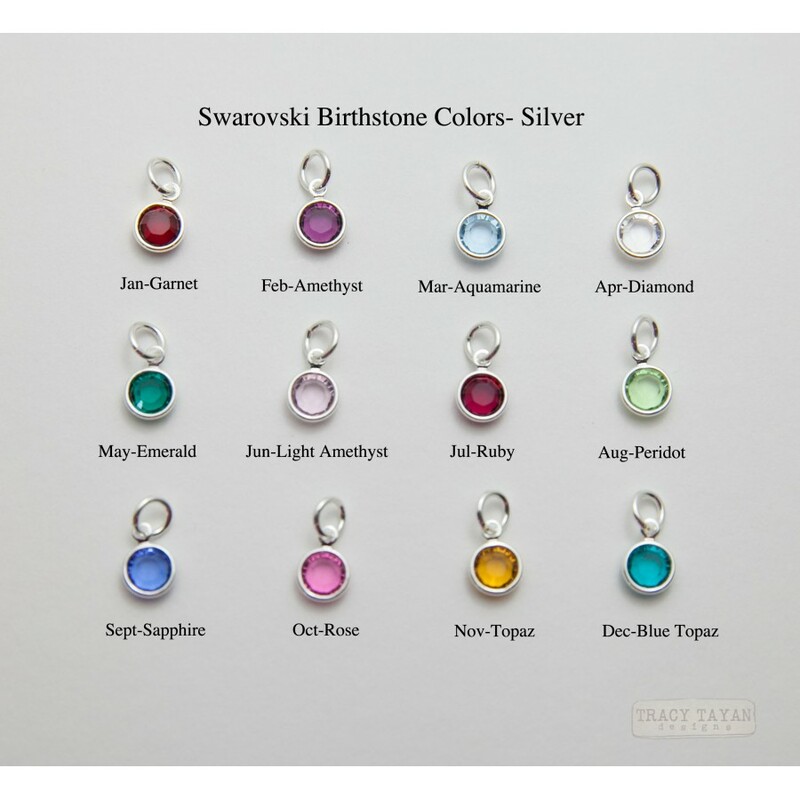 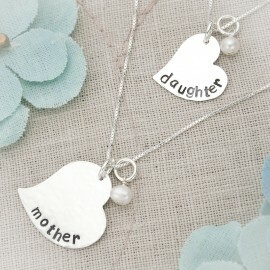 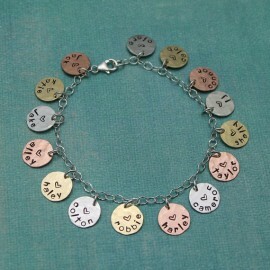 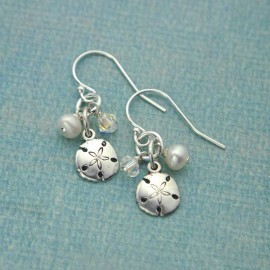 Add more birthstones charms to represent nieces and nephews or sisters.